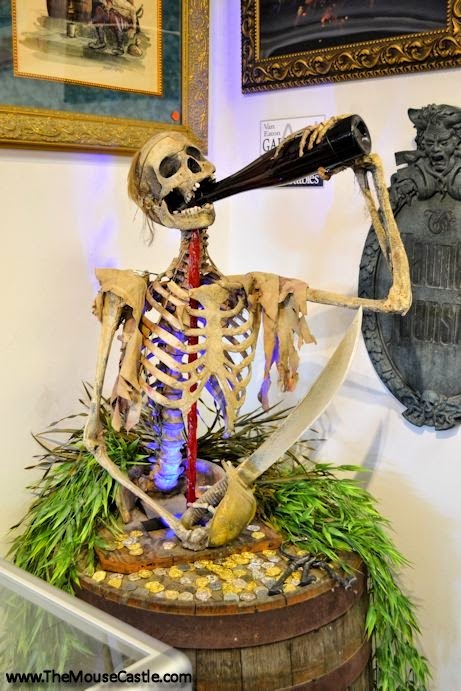 How would you like to have an original skeleton animatronic from Pirates of the Caribbean? Or maybe two original dolls from the New York World's Fair version of it's a small world? How about a miniature pot-bellied stove handcrafted by Walt Disney himself? Or a life-size cigar store Indian from Frontierland? If the five-figure price tags these items carry are a bit too rich for your blood, how about any of a thousand vintage Disneyland items ranging from cast member costumes and poster art to all manner of ticket media and shopping bags? It's all on display right now at the Van Eaton Galleries in Sherman Oaks, California, and will hit the auction block February 28th and March 1st. The astounding assortment of memorabilia that makes up the Story of Disneyland exhibition was amassed by an anonymous private collector over a thirty-year period. The entire collection is estimated to be worth over one million dollars. I had the opportunity to preview the collection on Friday and was blown away by the sheer scale of it and the amount of Disney history it represented. I saw side panels from original Monorail trains, an atom-mobile miniature from Adventure Thru Inner Space, original costumes worn by Betty Taylor in the Golden Horseshoe Revue, a fully restored tiki bird from Walt Disney's Enchanted Tiki Room complete with animatronics. And art. Tons of art--from concept pieces to costume designs to silk-screened posters. It's really hard to comprehend the scope of this collection, but I'll give it my best shot with a little help from the gallery's namesake, Mike Van Eaton, and a Disney Imagineering legend who had his hand in designing and building a fair share of the attractions represented in the exhibition, Bob Gurr. As Bob Gurr will often tell you, "If it moves on wheels at Disneyland, I probably designed it." A man with a lifetime fascination with cars and machinery, Bob joined Disney in the 1950s and took part in designing and building many iconic Disney attractions including the Autopia, the Monorail, the Matterhorn Bobsleds, the Submarine Voyage, Great Moments with Mr Lincoln, and the Omnimover ride systems for Adventure Thru Inner Space and the Haunted Mansion. He spent over 25 years at WED--later Walt Disney Imagineering--and continued to consult with them after leaving the company. In 2004, he was named a Disney Legend. 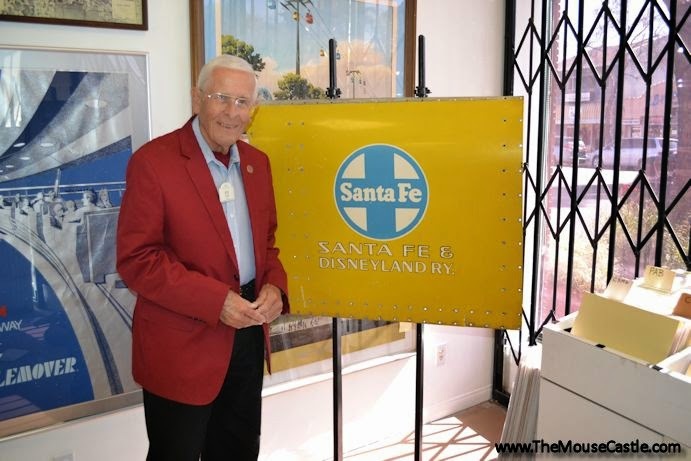 Today, at 83 years old, he still has a lot to say about his career at Disney, especially when you put him in a room chock-filled with Disneyland artifacts. Bob Gurr and Mike Van Eaton are my guests today in The Mouse Castle Lounge. Enjoy!